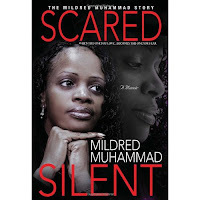 I just read another great book Called "Scared Silent: When the one you love becomes the one you fear" by Mildred Muhammad. This is the story of the wife of the DC sniper. Remember him? Did you know that whole attack was domestic violence motivated? He was going to kill his wife and then get away with it because it would be blamed on the mysterious sniper. This is a great book in describing how a woman becomes a victim of domestic violence. I also feel like I got to know Mildred well, as a human being. I have a lot of sympathy for her and I feel like we would make good friends. If she lived near me I would hang out with her.